Our girls program is one of the largest in South Florida. We offer both recreational and competitive programs. We strive to provide an environment for which the girls can be proud and call "home". We hope to expand our program in the near future to offer competitive soccer for all age groups if you have a team that needs a coach or a player that needs a team in any age group we would love to hear from you! Coach Kate is going to be joining us this year as director of girls development as well as coaching some of our teams. We are excited to welcome her expertise in our club, Kate played in England for many teams including Tottenham Hotspur and has worked with many clubs in England supporting youth development such as Arsenal, Tottenham and West Ham. 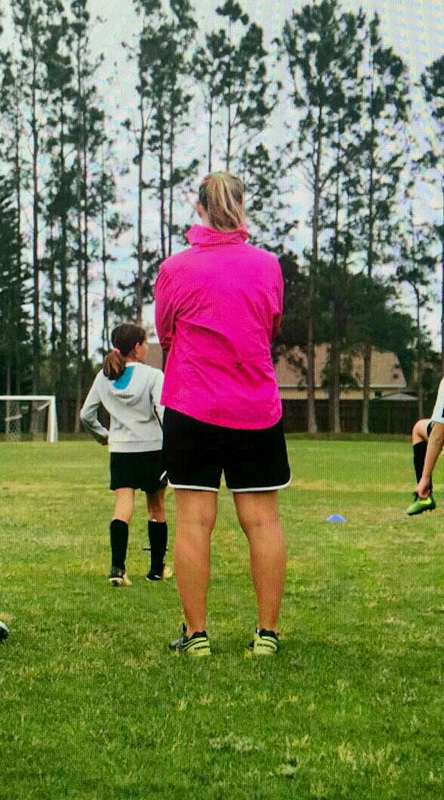 Since coming to the U.S she has coached at Miami Shores and took her U11 girls team to victory in the Commissioners Cup and Disney Tournament this seasonal year. "I am grateful for the opportunity to work with the Hollywood Wildcats FC I look forward to creating a program with a focus on competitive development without loosing the fun." Coach Kate Wilson is excited about continuing to develop the girls program as Head of girls development with Hollywood Wildcats FC. As part of her introduction to the club she would like to offer a free training session to your daughter. Our recreational program is the foundation for our club and offers both training and games played in GHSL as they in previous years. In recreational GHSL program all girls regardless of skill set are welcomed to participate. Since there are limited spots on each team, please take into consideration what your daughter’s commitment capabilities are. It is difficult on the team if a player is unable to participate regularly. If we register more girls than roster maximums allows we might have to turn some players away or find them an alternative teams to play on, as available. Girls that do not want to be part of this program can always play in the regular Wildcats co-ed recreational program. No tryouts, Roster spots are limited, so interested players should register as soon as possible. I think there are lots of parents with girls who might flourish on a girls only team, but they or their daughters have doubts or do not understand what the girl's program is about. I remember that my daughter was ready to give up on soccer, but after last year, it has moved to (and consistently remains at) the top of her list. That is the message we need to convey. If you have any questions about the GIRLS GHSL or COMPETITIVE programs or Girls Travel, please contact Coach Tom tom@hollywoodwildcats.com.